Welcome to our neighborhood, southeastern Sicily! 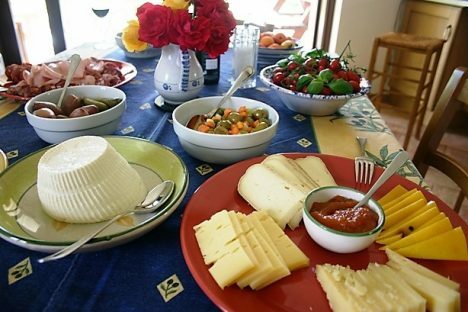 Hosted by Italian Connection’s founders, Anita and Emanuele, this walking and cooking tour in Sicily focuses on the quiet beauty and rich culinary heritage in Eastern Sicily, and includes a meal in our home for a true taste of life in the Sicilian countryside. 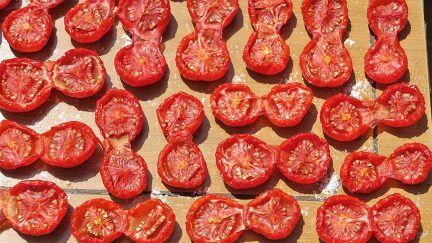 Learn to cook with genuine locally grown ingredients that are the heart and soul of Sicilian food, meet artisanal Sicilian food producers, see heirloom wheat being stone ground and then learn to bake Sicilian focaccia, and walk off lunch on secret pathways discovered through local farmers. Take part in the traditional celebrations in honor of the festival of St. Joseph, with elaborate bread altars and lavish tables, parades and marching bands – you’ll love being part of the local scene with these insider experiences! 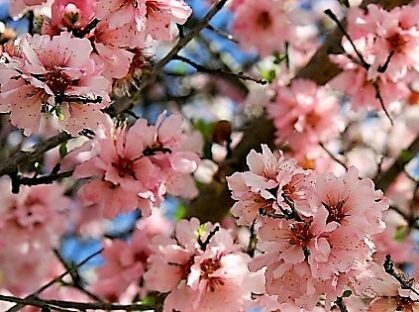 Our March tour also coincides with the spectacular season of almond blossoms in Sicily – watch our short video for 20 seconds of beautiful blossoms! Stroll – Daily distance of 2-5 km (1-3 miles) through archeological sites and in towns with stone stairways. Footwear: Lightweight walking shoes. Easy – Daily distance of 8-10 km (5-7 miles) on dirt paths and gravel roads, with short ascents & descents. Good van access for assistance along the route. Footwear: Sturdy walking shoes. Moderate – Daily distance of 12-16 km (8-10 miles) with longer ascents & descents. May include cobblestone paths and steps, or narrow paths along terraced hillsides. Some van access or options for shorter walks. Footwear: Sturdy walking shoes or lightweight boots. Fitness – Daily distance of 12-16 km (8-10 miles) with steep ascents & descents. Walks are at altitudes of 1200-2450 meters (3500-8000 feet) on trails and forest service roads, some rocky or exposed sections. Limited van access, options for shorter or longer routes. Footwear: Lightweight boots. Meet in Syracuse at 9.00 am. (Pre-tour night in Syracuse and 1-hour transfers from Catania airport can be arranged.) Meet a friendly local cook, and shop with her in the colorful open-air market, selecting the best produce for today’s lunch. Gather in the kitchen for a hands-on cooking lesson. In the afternoon, view archeological park and magnificent Greek theatre, still used for performances during theatre festivals. Explore the picturesque quarter of Ortygia, with the amazing Greek temple converted to a Baroque cathedral, and walk through mysterious underground passageways that tell the story of 3000 years of turbulent history. In the early evening, visit a local friend’s workshop, where traditional Sicilian puppets with elaborate costumes are still meticulously handcrafted one by one. Join the lively passeggiata to dinner in the piazza. Head to the southeastern tip of Sicily, and stop at the rarely visited site of Villa Tellaro, to view the stunning Roman mosaics. Continue to the protected coastal oasis of Vendicari, Italy’s most important stopping place for migratory birds, where the wetlands are graced by flamingoes and herons. Follow a path once used as a road by the ancient Greeks, with wild thyme and the magical mandrake plant blossoming above a turquoise sea. Rest in the shade of a carob tree at a farm restaurant, and lunch on seasonal specialties. 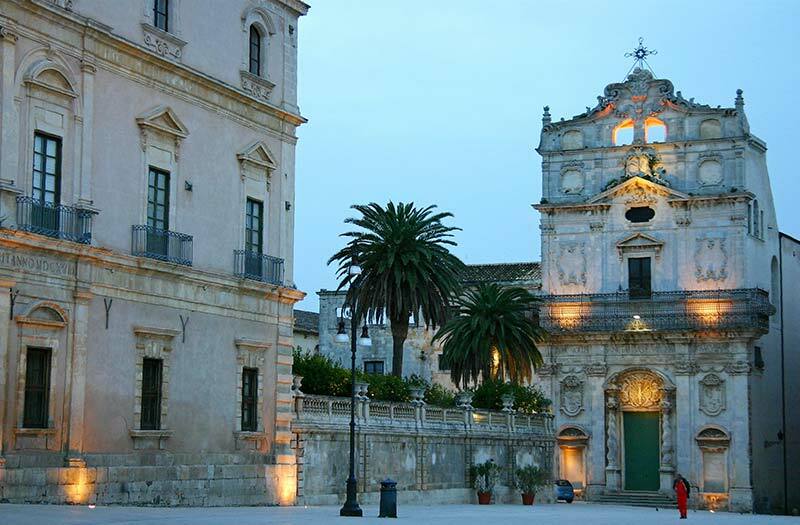 Drive past almond and lemon groves to the town of Noto, built of soft golden stone that glows in the afternoon light, and view the glorious cathedral, unveiled after an 11-year restoration. 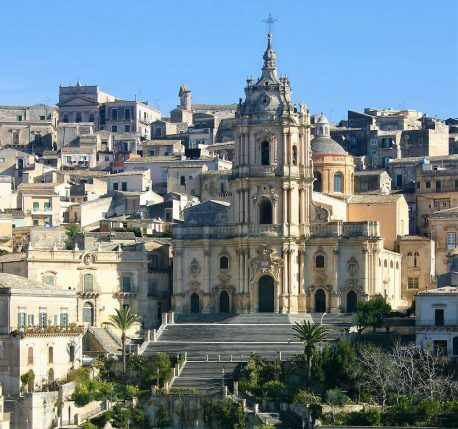 Continue to the delightful small town of Scicli, whose sumptuous palazzi and scenic overlooks have been favorite settings for the Detective Montalbano series. Stay 2 nights in a converted palazzo. 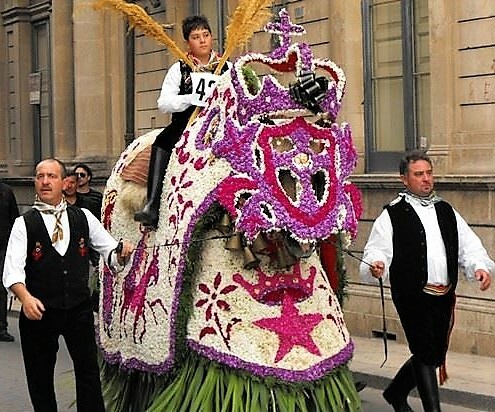 In the early evening we head to a seaside town to view the parade of horses draped in cloaks made of flowers, an amazing sight in honor of San Giuseppe. 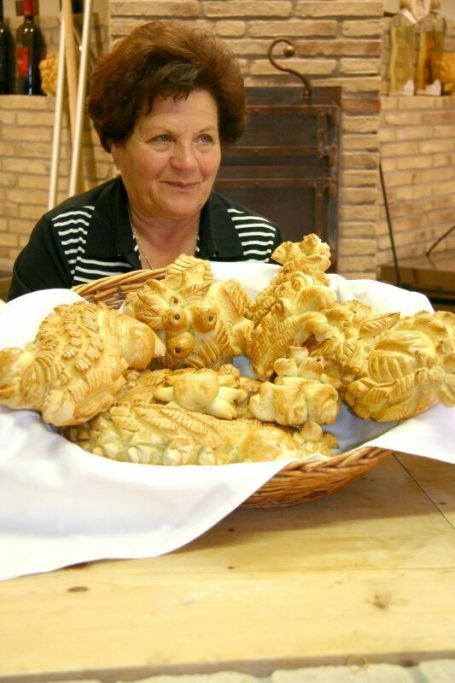 This special departure features the colorful celebrations in honor of San Giuseppe in the town of Santa Croce Camerina. 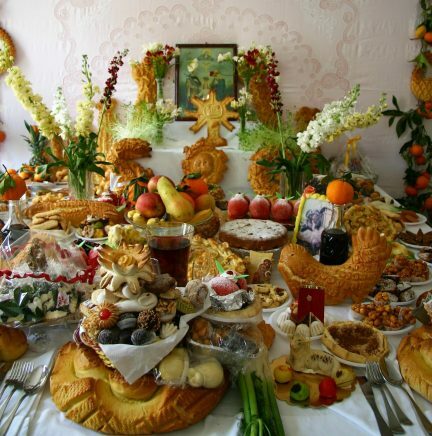 See how elaborate altars are fashioned out of bread dough, and visit private homes bedecked with an astonishing array of homemade sweets and traditional dishes in honor of the saint. Other activities include a fabulous parade of horses bedecked in cloaks made of flowers and a lively food auction, where you can bid with the locals on everything from huge hunks of cheese to live chickens! 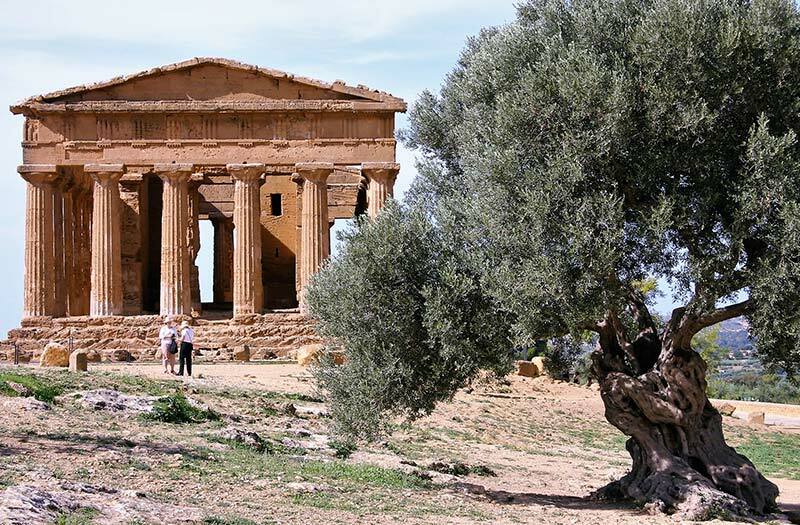 These unique activities are a full immersion into Sicilian culture and should not be missed! 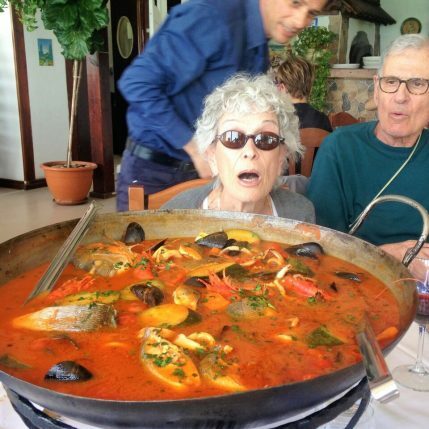 We’ll unwind after all the excitement by taking a walk to the seaside, where the Irminio river meets the sea, and giant carp frolic at the water’s edge. Dinner in a favorite trattoria in town. Transfer to the town of Modica, and taste the local specialty of Aztec-style chocolate spiced with hot pepper, a tradition brought to the town centuries ago by the Spanish dynasty. 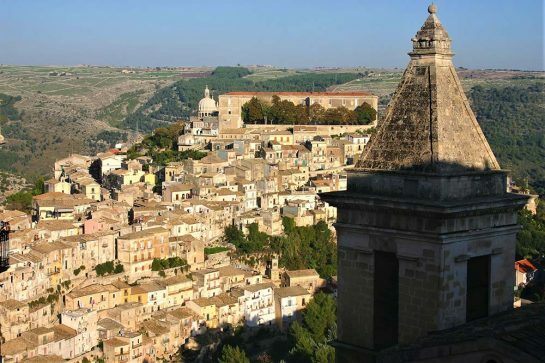 After a bit more exploration of the town of Modica and its magnificent cathedral, continue to the town of Ragusa, where we spend 3 nights. 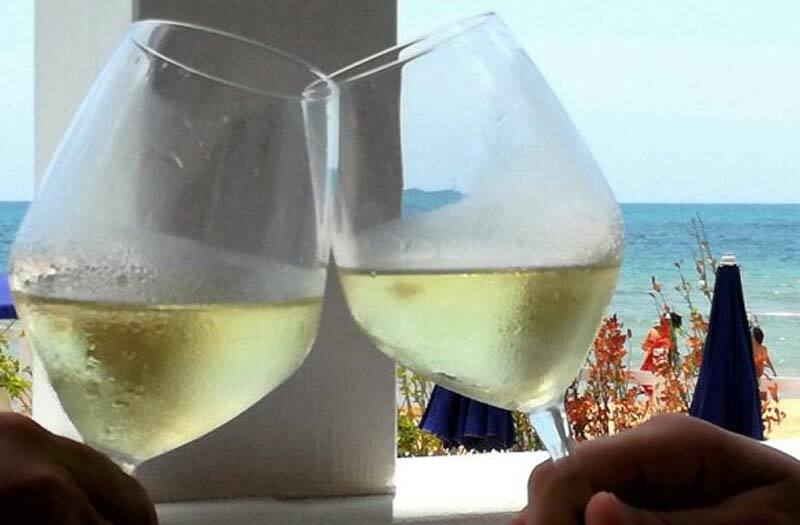 After a walking tour of town, you are free to relax, shop, or hang out with the locals in the piazza. Free evening for dinner, where you can choose a simple family-run trattoria or a sublime dinner at the 2-star Michelin restaurant Il Duomo. 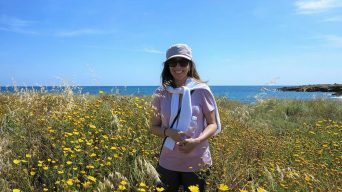 For a Sicilian, a walk in the countryside inevitably focuses on food, and we’ll take you on a walk in the bucolic countryside surrounding our home, across the terraced fields of ancient olive and magnificent carob trees, where you learn to identify and gather edible wild greens, herbs and flowers, such as borage, fennel and chard, and how to use them in easy recipes that are at the heart of traditional Sicilian cooking. We’ll end up in our kitchen, where Emanuele will prepare us a risotto or pasta dish based on seasonal produce. Lunch together overlooking our Mediterranean garden in the company of our curious cats. This evening is free to discover another of Ragusa’s delightful small restaurants for dinner. Today we take along an ancient pathway, passing bright green pastures framed in hand-chiseled stone walls, to a deep, mysterious canyon, the prehistoric home of the cave-dwelling Sikels. 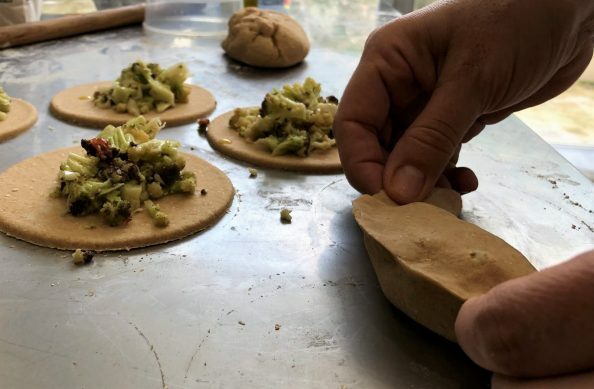 Visit a restored water mill, where Sicily’s traditional varieties of wheat are milled, and learn about these ancient grains and how to use them in making Sicilian breads. Taste the local specialties of “scacce,” Ragusa’s unique version of focaccia during a cooking lesson. 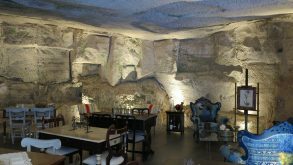 Explore the unusual environment of caves and secret stairways before we return to our hotel with time to relax in the afternoon. Dinner in a family-run trattoria frequented by the locals. Out first stop is the lovely town of Palazzolo Acreide with its tiny Greek theatre and stunning views of the Mt. Etna volcano. After a walk through town to a favorite pastry shop and a fortifying espresso, head through the highest hills of the Monti Iblei and view the old neviere, the stone huts once used for gathering snow. 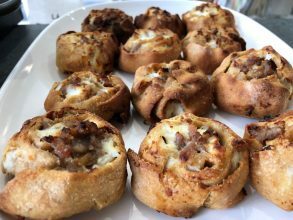 Lunch in a tiny trattoria tucked into a corner of an undiscovered little town, where the cook prepares unusual dishes based on local traditions. After our unforgettable lunch, continue to the Catania airport, where we drop you off by 4.00 pm, or to the center city for an overnight in Catania. Arrivederci!